Ludhiana, July 31, 2017: Two days after two suspects were rounded up from near the church in Peeru Banda, Salem Tabri, for pastor’s murder, police have let them off. Sources in the police said some suspects were rounded up from outside Ludhiana district as well and were being questioned. 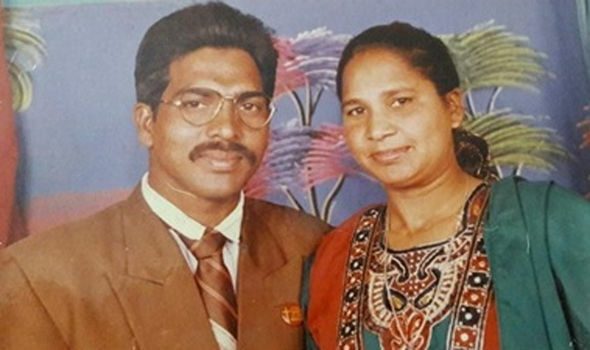 Pastor Sultan Masih, 53, was talking on the phone outside the church in Salem Tabri when two motorcycle-borne assailants shot him dead on July 14. Police officials said the two Christian youths were rounded up from Saleem Tabri. However, after quizzing the duo, the investigators couldn’t get cogent proof, besides there were protests by Christian community members. Cops said 17 suspects had been rounded up so far, besides raids were being conducted in Meherban, Lalton and Hassanpur. The police had picked up suspects from Muktsar, Mohali and Faridkot, but their questioning didn’t yield much. On the other hand, Ludhiana police commissioner Rajendra Dhoke said they have got leads in the case and were working on exclusion theory of various angles. The case would be solved soon, he added. Meanwhile, Christian community leaders said the priests across Ludhiana and other areas were scared. “We will be holding a meeting in first week of August to chalk out future course of action and discuss the scenario emerging after the pastor’s murder,” said Albert Dua, chairman of Christian United Federation and member of Punjab state minorities’ commission. He added that the community has already extended full cooperation to the police. “I talked to the family of the deceased on Saturday and they also said they were cooperating with the police,” he added.